Traditionally, creativity has been seen as the domain of the Arts. However, in recent years, people have recognized the value of creativity in a wide variety of industries and applications, including business and the academe. In fact, creativity is now viewed as something that should not be limited to music and the arts, and something that is vital in other endeavors as well. And as a parent, you probably want to boost the creativity of your child in order to equip him or her for a better tomorrow. Is it possible? Like intelligence, there are kids who seem to be more creative than their peers. However, creativity can also be viewed as a skill, rather than being a totally innate quality, that can be cultivated. Listed here are some creativity booster ideas that you can use to help your child. One of the most important of these resources is time. Give your kid ample time to use his imagination and avoid supervising him too much. It would also be beneficial to give kids their own space—a creativity lab where they can be free to do what they wish without fearing that they are making a mess. Finally, give them the tools they will need to express themselves. Ask them what things they would like to express themselves like art supplies. Apart from giving them their own creativity lab, you can foster a creative atmosphere during daily activities. For example, you can ask your kid for suggestions about which weekend activities to engage in. Let your child learn that failure is not a bad thing. Children who are not afraid of failure and judgment will readily explore new ideas. Avoid trying to direct every aspect of your kid’s life. Give him a couple of ground rules, and from there, give him the freedom to explore things within the boundaries you have set for him. Instead of giving your child unlimited time to watch TV, play video games or use his smart device, encourage him to read and gain interest in artistic endeavors. Encourage your child to voice out his own thoughts and opinions rather than simply agree with you. This will allow him to think beyond what is obvious and encourage him to explore other solutions. 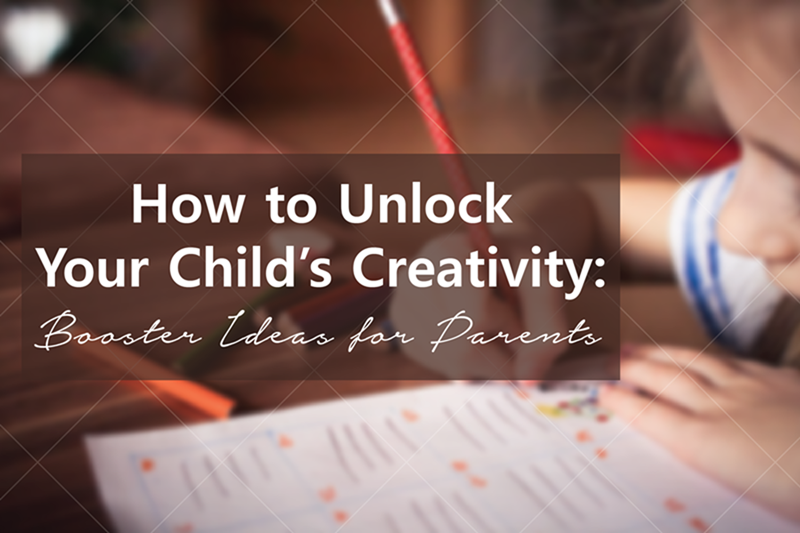 It may be tempting to reward your child for his creativity. Instead, let him choose creative endeavors that he is naturally drawn to. Even without rewards and incentives, he will push toward the mastery of these by himself.